This place doesn’t date back to my childhood, very little of that era remains in the now thoroughly gentrified Park Slope area. But it was there in 2011 when I was wandering the old neighborhood while in town for my daughter’s NYU graduation. I tried it then and enjoyed it, so we went back on our latest trip. It did not disappoint. The front of the place is a big pizza counter, very old school, much like the pizza places we once had on Fifth Avenue a few blocks away. I haven’t tried their pizza but I’m guessing it’s good because what I have had there has been delightful. The dining room is in the back, away from street noise and very private. A big Italian family was eating there the day we were, luckily we got our orders in before they started so we didn’t have to wait for our food. But just hearing them talk reminded me of actually being in my grandmother’s house, which was only a few blocks away when I was growing up. 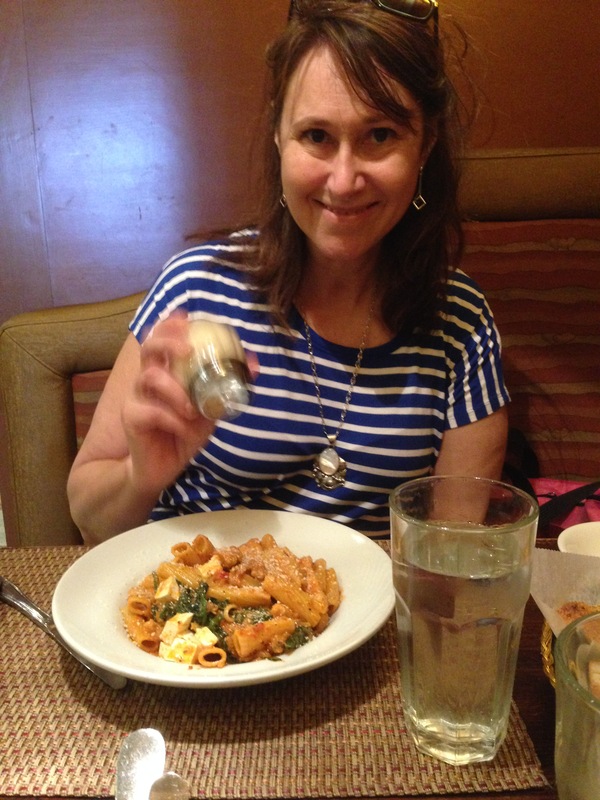 My wife enjoying her lunch at Da Nonna Rosa’s. The place offers a whole wheat pasta, which I’m required to eat on my post-angioplasty diet. 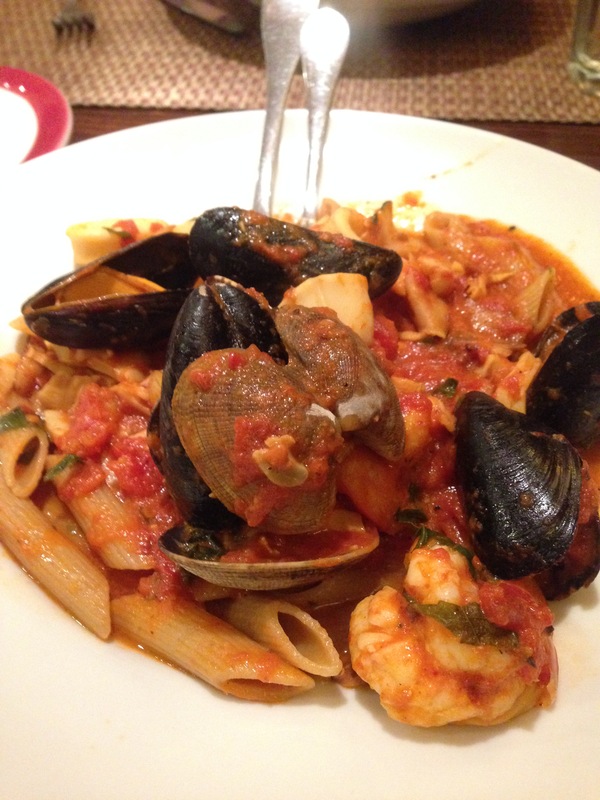 I got it in a classic Italian dish, frutti di mare, or fruit of the sea, literally translated. The plate includes “tender Calamari, fresh prince Edward Island mussels, little neck clams, jumbo shrimp and scungili in our marinara sauce or garlic and olive oil,” the restaurant’s menu outlines. I went with the marinara sauce. Scungili is snail, by the way, tasting a bit like mussel or clam. If you find yourself in Park Slope near Seventh Avenue and Carroll Street, give this place a try.